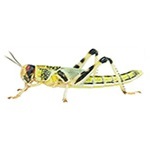 We stock a wide range of live foods for feeding reptiles, amphibians, and inverts such as spiders, scorpions, mantids, etc. Listed below are the types we keep in stock regularly. These are delivered twice per week, so we usually have good stocks, but please contact us in advance if you will be travelling especially for live foods, or you want larger quantities, so that we can check stock and reserve for you if necessary. There are a few additional foods that are not normally stocked, but that can be obtained to order on request. 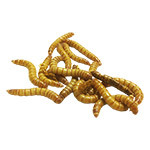 These include Calci-worms (small & large), buffalo worms, snails, micro crickets - as well as bulk packs of many of the foods above. Some of these foods, such as Springtails and Woodlice, are also ideal for adding to bioactive setups.